Wolfgang Amadeus Mozart's Piano Concerto # 20 in d minor, K. 466 is the most historically popular and influential among his keyboard concertos. In this appraisal, we review the history of the genre, the reasons for the importance of the 20th concerto and Mozart's own style of playing, and then provide a selective survey of some historically important recordings, concluding with some sources for further information. Nowadays, it seems that everyone loves Mozart, whose genius spanned all genres from opera and symphony to chamber music and solo sonatas. Yet, those with the most sophisticated taste tend to revere his piano concertos above all else. Among the 23 he produced in his prime, none has aroused as much enthusiasm through the ages as the Piano Concerto # 20 in d-minor, K. 466. Pianist Charles Rosen called it "as much a myth as a work of art: when listening to it, … it is difficult at times to say whether we are hearing the work or its reputation." The term "concerto" refers generally to a work that displays the possibilities of two different instrumental groups, both individually and together. The earliest arose in Italy and were built on the contrast between solo strings (the continuo) and the full ensemble (the ripieno). Their form followed that of the four-movement symphony but without the customary dance movement, which seemed unsuitable to the central feature of contrasted elements, thus leaving a substantial opening movement, a restful interlude, and an energetic finale. To the first movement (and often the last as well) was added a cadenza, an unaccompanied stretch during which the soloist was afforded an opportunity to embellish the thematic material and to display his technical prowess. These simple elements resonated deeply within listeners' psyches to popularize the genre. Sir Donald Tovey notes that the essential form of the concerto, based on opposite, unequal masses of instruments, reflects the basic societal drama of an individual versus the crowd. John Culshaw traces the appeal of the concerto to its roots in the opera aria, in which, after an instrumental introduction, a solo voice carries the melody and dominates an entire orchestra. He goes on to invoke the inherent drama of conflict and reconciliation between opposing forces as symbolic reflections of the tension that shapes society. He further credits the soloist's virtuostic display as arousing an audience's empathy to root for the underdog in an imbalanced contest of wills. C. M. Girdlestone summarizes the net impact as creating a satisfying psychological drama of strife and competition that ends in collaboration and reconciliation. From that perspective, the piano concerto has special appeal – as Alfred Einstein observed, unlike in concerti for strings, brass or wind instruments, the piano's percussive sound and wide tonal range surpasses the ability of other solo instruments to create an effective sense of balance against the massed ripieno (especially in Mozart's time, before instruments were engineered for greater power, pitch became raised for greater brilliance, and the sheer size of orchestras grew). Mozart surely recognized this – while he wrote numerous concertos for other instruments, including violin, horn and flute, only a single late clarinet concerto approaches the sophistication of his mature piano concertos. In Mozart's hands, the concerto took on special qualities. His earliest works in the genre were arrangements of largely derivative sonata movements and other pieces that aspiring composers presented to the boy genius, but soon Mozart perfected and personalized the form. Once the period of juvenilia had passed, aside from a simplistic triple concerto for lady amateurs all of his mature piano concertos have been acclaimed as masterpieces. Many commentators have noted that Mozart transcended rigidity and adherence to convention by investing the basic form he inherited from Bach and Vivaldi with extraordinary variety suited to the different character of each of his works. Perhaps in defense of his own taste, Girdlestone insists that the superficial uniformity that we at first encounter disappears, and upon scrutiny each concerto emerges as charged with a distinct personality of its own. Girdlestone attributes this inexhaustible spring of delight, as well as substantial emotional complexity, to Mozart's turning to the piano concerto as the primary vehicle through which he found afresh the radiance of his inner life, even while being overworked and underappreciated. Indeed, Richard Westerberg asserts that the key to Mozart's humanity, as reflected in his music, is that every happy musical idea contains sadness and all the sad ones bring a measure of hope. It is this overriding humanity that has resonated in seasoned musicians and novices alike through the ages (that is, at least to those sensitive enough to perceive and respond to the message – as André Gide once observed, Mozart speaks in whispers, whereas the public tends to hear only shouts.) Thus, Schubert saw Mozart as giving us a picture of a better world, and H. C. Robbins Landon finds in Mozart nothing less than "an excuse for mankind's existence and a small hope for our ultimate survival." Nowhere in Mozart's canon does this exceptional devotion arise as often as in his piano concertos. Among the techniques which critics cite for their affection is the creation of dialogue among the instruments rather than treating the orchestra as a monolithic block, varying the rhythmic motion within the basic pulse to create a sense of excitement, the richness of the wind writing, constant transformation of the basic thematic materials, the soloist "teasing" the orchestra by appropriating and embellishing its themes, and an overall complex relationship with the orchestra to enrich the solo personality. As Joseph Kerman notes, the effectiveness of this approach is immeasurably enhanced by Mozart's creation of a dialogue in which piano and orchestra speak essentially the same language, thus enabling them to invest repetitions of basic material with variation and nuance. Perhaps the quality that recurs most often in the commentaries is the sheer perfection of form that is intimately tied to an overriding discretion. As Girdlestone notes, Mozart's concertos are discrete not because he has little to say but because he speaks with moderation in an extraordinary blend of simplicity and profundity that a more forceful tone would dispel. Robert Harris agrees, noting that Mozart's concertos were a reflection of his society that cherished order, balance, grace, elegance and proportion (at least aspirations among the nobility upon whose patronage he depended), and that Mozart transcended this mundane base with deep yet always subtle emotional daring. Thus, overt drama, including such latter-day practices as extreme dynamics, tempos, pauses, modulations and textures, are simply alien, both to the expectations of the time and to Mozart's own aesthetic personality. The magic, then, of Mozart's sublime work is how he managed to fundamentally respect social conventions even while transcending them through his incomparable ingenuity. Mozart himself may have foreseen this intricate balance when he wrote to his father: "Here and there are things that only connoisseurs will be able to appreciate fully, but I have seen to it that those less knowledgeable will also be satisfied without knowing why." Despite the complexity of his oeuvre, the particular appeal of Mozart's Concerto in d minor, K. 466, is easy to pinpoint – it is only one of two written in a minor key, and the most overtly dark, dramatic and impassioned. Historically, these were essential ingredients, as they appealed directly to the romanticized taste of the nineteenth century, which dismissed nearly all his other work as those of a trite rococo stylist. As Charles Rosen observes, it and only a handful of other work (mainly Don Giovanni and the Symphony # 40 in g minor, K. 550) cemented a perception of Mozart as the harbinger of the coming age of romantic composers at a time when his outward grace obscured his power, even though by comparison it tended to push his other work (as well as nearly everything by Haydn) into the background, and even eclipsing all his other concerti that we now revere as well. As late as 1945 Abraham Veinus pronounced in his survey of The Concerto that the 20th was really the only popular Mozart concerto. Why? In contrast to the prevalent, if misguided, perception of his other work as refined, decorative, tedious, smooth and uninvolving, its persistent minor tonality, rumbling discontent, rich orchestration (including trumpets and kettledrums), stormy outbursts and pungent textural contrasts spoke forcefully to the coming age of revolution, freedom and individuality. Friederich Blume pinpoints its unique historical importance as the moment in which the decisive turn to the modern concerto took place. For Blume, K. 466 was the very first concerto in which conventionalisms cede to the spontaneous expression of artistic individuality and "the language of the heart." The impulse for Mozart to have created the 20th is curious indeed and perhaps forever beyond our knowledge. While it is tempting to relate it to a newfound maturity or dark events in his life, biographers caution that such efforts are deceptive – Mozart wrote many of his most upbeat works at times of depression and searching ones during periods of contentment. Indeed, he often wrote his piano concerti in pairs and the very next one, # 21 in C Major, K. 467, given only weeks later, is among his most delicate and affirmative. (Its middle movement was used in the 1967 Swedish romantic movie Elvira Madigan, by which title the work has since become known.) In any event, Arthur Hutchins warns that since we don't know how long a given work gestated before it appeared, a precise set of stimuli is impossible to trace. The mature Mozart piano concertos share a common general structure. The first movements feature four ripienos that bracket two solo segments and the cadenza, through which the forces engage in a complex interplay of competition and cooperation, challenging and feeding off each other's themes, harmonies and rhythms. The second movements are andantes, slow, relaxing respites often led by the piano in which the former strife is supplanted by lustrous calm and fluid grace. The finales are rondos, in which orchestra and solo alternate sections in a collaboration that moves toward an invigorating and fully edifying finish. The splendor of K. 466, though, is how it generally respects this scheme even while charting new paths and teasing our expectations. As analyzed by Alfred Einstein, Mozart's sharp distinction between solo and tutti in the first movement remains strongly contrasted without compromise or resolution; indeed, after an especially forceful introduction the piano enters with a gentle tune that it never shares and with good reason – its wide leaping intervals are uniquely suited to the keyboard and would sound awkward on any other instrument. A further point of distinction is that the movement ends not in customary elation but gently, as if the contestants were exhausted after their uncommonly taxing exertions. The second movement is a strophic romanza whose customary tranquility at first seems reinforced by its B-flat major key and the support that piano and orchestra provide each other by passing around and even completing each other's phrases, but then is torn by a strong central agitated section in g-minor. The offbeat pattern is set at the very outset as the celli and basses repeat an abrupt growling phrase while the other strings throb with persistent syncopation that constantly points to d minor and only slowly grows to a climax that pounds out the minor key tonality and four-square rhythm; as Hutchings aptly observes, it vibrates with nervous energy that remains as a smoldering fire beneath all that follows. Throughout the rest of the first ritornello, the orchestra alternately teases with soft, alluring phrases, only to reject its own suggestion of calm with brash outbursts of snarling fanfares and assertive figures. Thus the stage is set for a challenging and complex relationship before the piano is even heard. in turn, revolutionized serious music as we know it and paved the way to the music of the next century. Indeed, it comes as no surprise that Beethoven played the work, going so far as to write out his own cadenzas which, as reflections of his own overpowering personality, exploit the dramatic implications of the material at the expense of its inherent elegance and occasional charm, bearing less stylistic similarity to the cadenzas Mozart left us for other of his concerti, which tended to be bright and often a brief fantasy built on a subsidiary theme. Other composers would go on to develop the piano concerto into a vehicle for a wide range of individualized expression, emphasizing drama (Beethoven), symphonic elements (Brahms), lyricism (Chopin), wit (Poulenc), satire (Shostakovich), deep emotion (Bartok), beauty (Rachmaninoff) and even jazz (Gershwin). But rather than view Mozart's work as a primitive forebear of all that was to follow, or even to hail it as the generator of so many possibilities, perhaps it is better to accept it on its own terms as a unique moment when all its components fit together without any one threatening to dominate the others. The great musicologist and Mozart scholar Alfred Einstein perhaps best summed up this view by regarding the Mozart concerti as the end of the line – a perfect fusion of elements that created a higher unity and still raises listeners to a higher level, an achievement "beyond which no progress was possible, because perfection is imperfectible." Mozart was widely considered the greatest pianist of his time. How did he play his own work? While others' descriptions often are partisan, vague and of varying reliability, fortunately Mozart left us copious correspondence in which he freely praised and disparaged his colleagues and thus provides a remarkably full portrait of his own ideals, which presumably he followed when performing himself. (After all, he wrote nearly all of his piano pieces for the purpose of personal performance, and so clearly they suit his own aesthetic intentions and exhibit his own strengths and inclinations.) As catalogued by Harold Schonberg, Mozart straddled and served as a transition between the rigid mechanics and florid ornamentation of his Baroque forebears and the expressive freedom and permissive inflection of the Romantic age that was to follow. While he insisted upon technical accuracy and precision, he had no tolerance for virtuosity unless it was to be applied with moderation and taste and placed at the service of the music. Yet, the result was not to be dry or mechanical, nor slavish adherence to the written score, as Mozart was known for liberally embellishing his own work during performances as a famed improviser. He sat at the center of the keyboard and maintained a calm demeanor without facial gestures. Tempos were to be strictly maintained, with no speed or slowing for emphasis or variation in repeated sections. All legato was to be in the right hand, and then temperate and regulated, so the notes "flowed like oil" without distending the basic pulse. Each extended note was to be held for its full value, without emphatic clipping. Translating all these ideals into an authentic modern performance presents a fundamental challenge, dependent upon the availability of suitable instruments. Mozart himself preferred Stein pianos for their ruggedness, the quality of their workmanship and the purity of their tone – no "jiggling or vibration" when notes were struck. 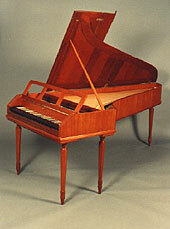 Mozart wrote his mature concertos for the fortepiano, an early version of the piano we now know. While it supplanted the uniform, delicate plucked sonority of the harpsichord with hammers and an escape action, it had a light wooden frame, leather hammers, and plain brass and iron wire strings that produced a far more delicate sonority, more restrained dynamics and a smoother, singing tone than the cast-iron frame, felt hammers and copper-wound and chromium steel strings of the modern concert grand, which encourages flashier and more muscular playing. By design, the closest approach to Mozart's ethos lies in the many original instrument recordings using historical performance practices. Typical are the first two – the 1990 Nimbus CD by Christopher Kite with the Hanover Band conducted by Roy Goodman and the 1991 EMI CD by Melvin Tan with the London Classical Players conducted by Roger Norrington. The most striking feature to modern ears is the sound of the solo instruments, fortepianos modeled after authentic examples of the time – precise articulation, sharp impact, rapid decay, modest bass and no blurring of mid-range tones. Their overall texture is readily distinguishable from all the other instruments, affording a wide range of interplay and combinations that enliven the score and put Mozart's ingenuity on display. The orchestras, too, have a sound distinctive from modern ensembles, with fewer and softer strings, rasping but light brass and mellow but emphatic tympani that really punctuate the texture. While the winds are largely similar to their modern counterparts, the balance between them and the strings, which dominate current orchestras, give them a far more conspicuous role and restore the careful balance Mozart achieved between what were then relatively comparable forces. Beyond its intrinsic interest as being simply different from the symphonic sound to which we are accustomed, the overall effect enlivens the score with a level of textural fascination that many "big band" renditions with a concert grand cannot achieve. Ironically, the most recent performances give a better indication of Mozart's own aesthetic, whereas the older ones reflect the view of the 19th century when what little attention that was paid to Mozart tended to mold his work into the far different outlook of that time. While several recordings of Mozart symphonies were made during the acoustical and early electrical eras, the piano concertos apparently were considered a less saleable commodity. The earliest recording of K. 466 that I've encountered is from November 1933, in which Edwin Fischer plays and conducts the London Philharmonic. A specialist in Bach and Mozart and known for his smooth, gentle touch, Fischer brings a moderate romantic sensibility with constantly varying tempos and gentle but evident transitions; thus the restless central section of the romanze is forceful yet effortlessly integrated into the surrounding lyricism. Fischer provides his own highly inventive and thoroughly tasteful cadenzas; the one for the rondo, in particular, condenses into 75 seconds an extraordinary voyage from cascading strength through supple contemplation that fully fits the character of the entire movement. Another revival of Mozart's own tradition of conducting from the keyboard came from Bruno Walter and the Vienna Philharmonic in May 1937 (Lys). Although primarily known nowadays for his late genial remakes of the symphonic repertoire, Walter's earlier career had been as an ardent romantic, and here he crafts a marvelous opening of atmospheric tension leavened with charm which his sensitive yet ardent solos extend, despite a skewed recording balance in which the piano incongruously tends to overwhelm the full ensemble. A fascinating complement is found in a November 1939 Walter broadcast with the NBC Symphony (AS Disc) that's swift, crisp and taut – no wonder, as this was Toscanini's orchestra, accustomed to casting sentiment aside in sharp response to his demanding baton. What a difference two minutes (and clipped articulation) makes! Compared to his Vienna studio recording, the NBC outing startles with coiled tension and driven momentum, constantly throwing off sparks of dynamic vigor in the first movement so that the delicate romanze affords a huge sigh of relief. At a mere 26 minutes, it's by far the fastest recording I've encountered and illuminates a fascinating side of Mozart – not the old-fashioned naïf of the prevalent stereotype of Walter's time but a bundle of invigorating, and even exhausting, energy. Jumping ahead for a moment, a striking contrast was presented by Daniel Barenboim in 1967, playing and conducting the English Chamber Orchestra (EMI). Although hailed at the time of its release for its strong drama, the impression was due almost entirely to its 32-minute pacing rather than rhetorical devices. By adding a over a minute to the routine timings of each of the first two movements, Barenboim created a serious, even severe aura through tempo alone, as the sonority is bright, the ensemble light and the playing agile, if gently inflected with mildly emphatic pauses (except for an ample deceleration to prepare for Beethoven's first movement cadenza, which sounds appropriately dark and probing in such a setting) – more like commas than semi-colons to suggest rather than mark the structure. After a similarly thoughtful romanze, the normally-paced finale sounds breathless. Two other early advocates of the Mozart piano concertos recorded K. 466 only late in their careers. 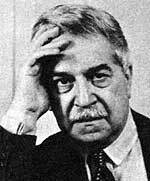 Artur Schnabel brought the same sober intellect to Mozart with which he had built a formidable reputation as a Beethoven specialist. Yet, there's nothing methodical or dry in his approach. Rather, his 1948 recording with Walter Susskind and the Philharmonia (EMI) reflects careful shaping of phrases and considerable inflection to organize the musical materials into a cohesive and compelling logical flow – as well as the blurred runs and occasional missed notes that his bemused fans came to accept as the price of a musician more concerned with theory than practice. Walter Gieseking had recorded the ninth and 23rd concertos in a single day in 1936, but didn't tape the 20th until August 1953, with Hans Rosbaud and the Philharmonia (EMI). Earlier that month he had recorded all the Mozart piano sonatas in a single week (and within a year would complete his survey of the other solo pieces and songs), an extraordinary pioneering achievement. While part of a generation that treated Mozart only occasionally and then with kid gloves, Gieseking's playing is leisurely and sensitive, with a light touch and subtle expression. Incidentally, although we tend to assume that only artists wizened with decades of experience are capable of plumbing the depths of K. 466, let's not forget that Mozart was a mere 29 when he wrote it, and so some youthful exuberance is hardly out of place. In one of the few recordings that seem to reflect this, Frederich Gulda constantly surges ahead of the Vienna Philharmonic led by Claudio Abbado (DG) with bold, assertive phrasing. 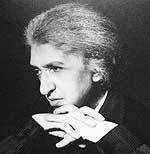 Among other distinctive recordings by mature artists is a magnificent one by Clara Haskil, made only weeks before her death in 1960, with the Lamoureux Orchestra conducted by Igor Markevitch (Philips). A woman whose life was plagued by medical misfortunes, Haskil was able to identify with both the delicate and tragic aspects of K. 466. From her pure and self-effacing playing emerges her own short, stunning first-movement cadenza, shuddering with forbidding bass trills and only a bare glimmer of grace and sun to penetrate the gloom. For the finale she adopts an invariable unhurried pace and omits a cadenza altogether, as if to deny anything to celebrate. While her gesture is extreme, it extends the usual emphasis upon the first movement cadenza; in contrast, the 1941 recording by Jean Doyen and the Conservatoire Concert Society Orchestra under Charles Munch (Lys) challenges that expectation with a perfunctory 30-second first-movement cadenza, while augmenting the finale with a far longer and more adventuresome one. The character of the accompaniment, and the importance of its role, is illustrated by three recordings made by Rudolf Serkin within a single decade. In a 1953 New York Philharmonic concert led by Guido Cantelli (AS Disc), Serkin plays with considerable interpretive freedom, while the orchestra tends to follow his lead, perhaps in part because the conductor was half his age and respected his authority (although, as a Toscanini protégé, Cantelli displayed an assertive personality in some of his other concert recordings of the time). 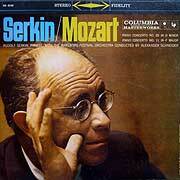 In a 1958 studio recording with the Marlboro Festival Orchestra under Alexander Schneider (Columbia LP), Serkin's playing is lithe, bright and animated, an appropriate complement to the sharp, vibrant chamber sonority of the ensemble (as well as a reflection of their intimacy, as Serkin was a founder of, and Schneider a prime participant in, Marlboro). A 1962 recording with the Columbia Symphony led by George Szell is slower, more steady and even a bit bland, so as not to upset the mellow, balanced restraint of the orchestra. Yet, Serkin adds a fascinating human touch by occasionally rushing his phrases, a hint of frustration in having to resist the urge to move forward. While several piano superstars have tackled the 20th, the results aren't always as stimulating as one might have hoped. Artur Rubinstein saw Mozart as a painter of vast musical canvases and professed to deeply love him, but his enthusiasm may have lapsed into the sort of respect that can stifle creativity. While conductor Alfred Wallenstein keeps a fairly brisk pace, their 1961 recording with the RCA Symphony (BMG) is in the dubious tradition of a respectful but ultimately shallow view of Mozart, with massive string sonorities dominating the ensemble and a steadfast, mellow tone attenuating the effect of the solo passages. The sound, if not the dearth of personality, belongs squarely in the era between Mozart's time and ours. Yet, rather than a mere disappointment, Rubinstein's (and others') thick textures raise the fascinating question of how (or even if) Mozart would have structured and scored K. 466 (and much of his other work) had he lived a generation or two later – not in the classical era which he epitomized, but rather in the heart of the Romantic era which he anticipated and enabled in so many ways, and never as much as with his 20th piano concerto. Of primary value in preparing this piece were Alfred Einstein: Mozart - His Character and His Work (Oxford, 1945), Abraham Veinus: The Concerto (Doubleday, 1945), Charles Rosen: The Classical Style (Norton, 1971), C. M. Girdlestone: Mozart's Piano Concertos (Cassell, 1948), Harold Schonberg: The Great Pianists (Simon & Schuster, 1963), Arthur Hutchings: A Companion to Mozart's Piano Concertos (Oxford, 1948) and the article "Mozart's Piano Concertos and their Audience" by Joseph Kerman in James M. Morris (ed): On Mozart (Cambridge Press, 1994). Also helpful were the introduction by Friederich Blume to the Eulenberg edition of the score, Philip Radcliffe: Mozart's Piano Concertos (BBC Music Guide) (University of Washington Press, 1978), Donald Francis Tovey: Essays in Musical Analysis (Oxford, 1939) and Robert Harris: What to Listen for in Music (Penguin, 1948).